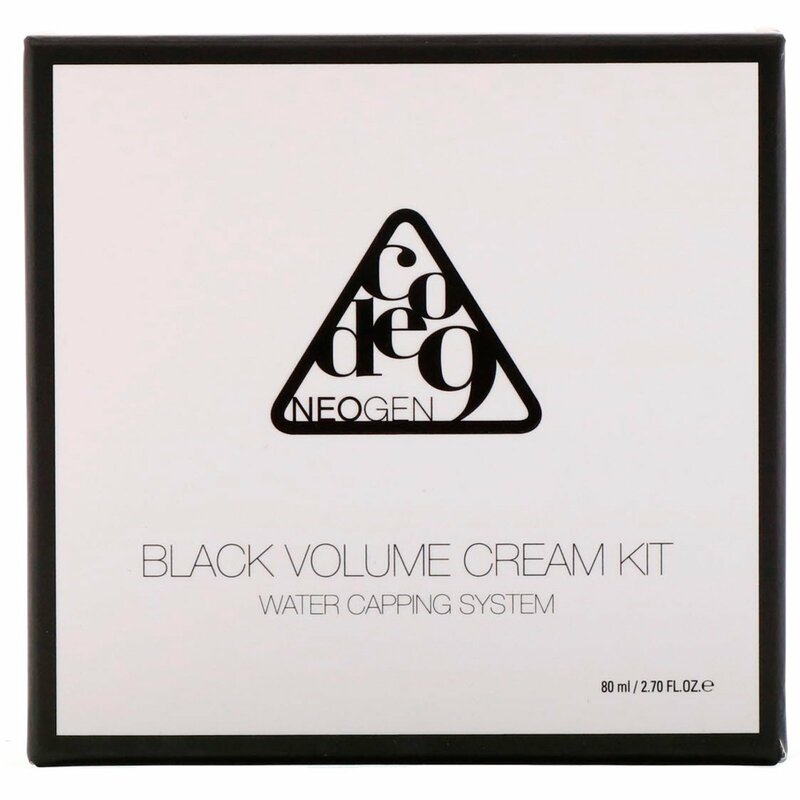 Neogen Code9 Black Volume Cream is a highly concentrated, moisture-enriched nourishing treatment composed of 49 black ingredients and 119 natural active ingredients. 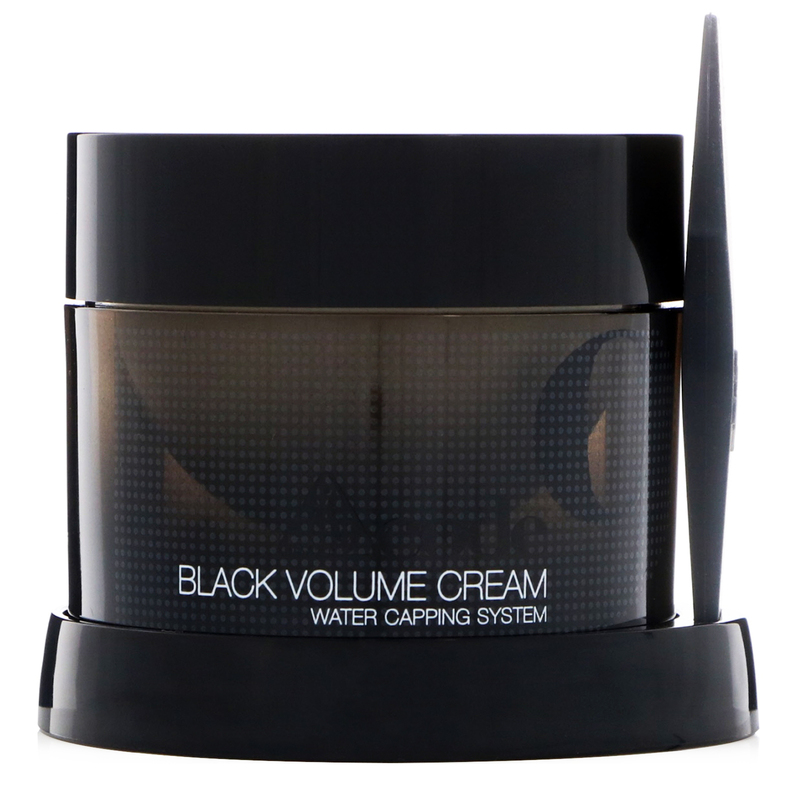 This high-function cream restores skin's youthful volume and lift, improve skin's moisture content and redefines skin's lost radiance for a remarkably improved brighter and plumper complexion. Water, butylene glycol, glycerin, niacinamide, hydrolyzed acid, peg-240/hdi copolymer bis-decyletetradeceth-2- ether, bis-peg 18 methyl ether dimethyl silane, yeast ferment extract, polysorbate 20, carbomer, caprylyl glycol troplone, triethanolamine, adansonia digitata leaf extract, vaccinium angustifolium (blueberry) fruit extract, rubus fructicosus (blackberry) fruit extract, aristotelia chinensis fruit extract, ribes nigrum (black currant) fruit extract, sesamum indicum (sesame) seed extract, oryza sativa (rice) extract, glycine max (soybean) seed extract, euterpe oleracea fruit extract, allium sativum (garlic) bulb extract, morus alba fruit extract, juniperus communis fruit extract, ethylhexylglycerin, runbus coreanus fruit extract, sambucus nigra fruit extract, black sugar extract, theobroma cacao (cocoa) extract, charcoal powder, solanum melongena (eggplant) fruit etract, sepia, porphyra tenera extract, polgonm fagopyrum seed extract, vitis vinifera (grape) fruit extract, coffea arabica fruit extract, inonotus obliquus (mushroom) extract, cassica obtusifolia seed extract, corthellus shiitake (mushroom) extract, mirabilis jalapa seed extract, piper nigrum (pepper) seed extract, fagus sylvatica seed extract, aronia melanocarpa fruit extract, dictyopteris membranacea extract, rose extract, cinnamomum cassia bark extract, annona cherimolia fruit extract, rhus semilata gall extract, prunus mume fruit extact, chrysanthemum sibiricum extract, psidium guajava fruit extract, laminaria japonica extract, portulaca oleracea extract, caulerpa lentillifera extract, argania spinosa kernel extract, hibiscus esculentus fruit extract, malva sylvestris (mallow) extract, malt extract, passiflora edulis fruit extract, averrhoa carambola fruit extract, chenopodium quinoa seed exxtract, dioscorea japonica root extract, forsythia suspena fruit extract, laminaria digitata extract, acorus calamus root extract, lithospermum erythrorhizon root extract, nelumbo nucifer flower extract, acer saccharum (sugar maple) extract, cucumis sativus (cucumber) fruit extract, panax ginseng root extract, cornus officinalis fruit extract, schizandra chinensis fruit extract, asparagus cochinchinensis root extract, amber extract, pinus densiflora extract, hydrolyzed coral, teremlla fuciformis (mushroom) extract sarcodon aspratus extract, ledebouriella seseloides root extract, lepidium meyenii root, paeonia lactiflora root extract, citrus junos fruit extract, oryza sativa (rice) bran extract, citrus aurantium dulcis (orange) flower extract, hippophae rhamnoides extract, garicinia mangostana peel extract, magnolia liliflora flower extract, angelica dahurica root extract, hamamelis virginiana (witch hazel) leaf extract, angelia archangelica root extract, uncaria tomentosa extract, lilium tigrinum extract, achillea millefolium, laurus nobilis leaf extract, musa sapientum (banana) fruit extract, cnidium officinale root extract, atractyloides japonica rhizome extract, salicornia herbacea extract, mangifera indica (mango) fruit extract, aloe barbadensis leaf extract, opuntia fucus-indica extract, swiftles nest extract, cocos nucifera (coconut) fruit extract, honey extract, plumeria rubra flower extract, linum usitatissimum (linseed) seed extract, agaricus blazeii extract, ethylhexylglycerin, glycyrrhiza glabra (licorice) root extract, chaenomees sinensis fruit extract, morus alba bark extract, phragmites communis extract, machilus odoratissima bark extract, benincasa cerifera seed extract, betula platyphylla japonica bark extract, prunus armeniaca (apricot) kernel extract, angelica gigas root extract, bupleurum falcatum root extract, coix lacryma-jobi ma-yuen seed extract, coptis chinensis root extract, phaseolus radiatus extract, pinus koraiensis seed extract, polygonum multiflorum root extract, scutellaria baicalensis root extract, zizphysus jujuba fruit extract, centella asiatica extract, propolis extact, adenosine, trehalose, ceramide3, hydrogenated lecithin, caprylic/capric glycerides, cholesterol, acetyl glucosamine, hydroxypropyl clyclodextrin, thioctic acid, 1,2-hexanediol, beta-glucan, potassium hydroxide, latcobacillus/aspergillus/prunus mume fruit ferment filtrate, lactobacillus/punica grantum fruit extract ferment extract, lactobacillus/soybean ferment extract, lactobacillus/nelumbo nucifera seed ferment filtrate, paeonia suffructicosa root extract, gardenia blue color, fragrance.